As creative professionals, project managers, or company leaders, we all seek ways to improve our workflow and increase productivity in the workplace. In honor of Mental Health Awareness Month, we’re highlighting a tool many people in our office use (and love) to reduce the stress of tracking tasks. I’m pleased to announce that the days of running to Target to purchase a packet of flashcards and post-its are over. So how will you keep track of every single task you need to accomplish on your to-do list for the week? Not to worry! Allow me to introduce our new colleague, Trello. Trello is an online task management board you can use to arrange and prioritize your tasks, projects, documents, and notes in a virtual pinboard environment. By the end of this blog post, you will learn how to transfer your cluttered pinboard onto Trello, and understand the basic functions of the online application. I will also suggest several ways you can use Trello in your workplace to increase personal productivity and company collaboration. Privacy settings are enabled and disabled in this location. You have the ability to keep your board private, or share with other people in your company. Have complete control of your own Trello boards or invite other people to collaborate with on a group board. Add a List for each category or job function within your board. Each list should help you organize your workflow in a way that makes sense to you and your collaborators. A List is like a chapter in a book, a way to breakdown and organize your primary tasks or job functions. To reiterate: create, manage and place lists in a way that makes sense to you. You have complete control on what you title your lists and the order you view lists. For example, here are several lists I have in my own personal Trello board (in order): To Do Today, To Do This Week, Future Content Ideas, Content Resources, Content Notes. A Card is like a post-it note or flashcard. Cards are the place you can write down each task or note under the lists created. Create as many cards as you want! Prioritize cards within your lists, and drag cards to different boards. Add a Card for each of your tasks or action items you need to accomplish, and title it whatever you want. You can also change card titles at your leisure. You have the ability to write a description for each card, add notes within the card, and attach documents. When you’ve completed a task and no longer want the card on your board, double click into the card and archive it. Personal To-Do Lists can get overwhelming when you have 30 stickie notes surrounding your desktop and 100 incoming emails with multiple requests. Create a Trello board for your professional and personal to-do lists. Construct different columns based on your responsibilities then make cards for each stickie note*. 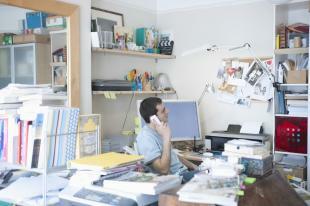 Your desk will look cleaner than the interior of a brand new car. Group Collaboration is necessary in startup companies or any cluster of people working on a project. You can use the group Trello board to brainstorm ideas before, during, or after meetings, then discuss and prioritize when the group meets. You can assign cards to individuals in the group. Comment and notify others in the group to ask questions on specific cards and lists, and then archive cards after they’re complete. Save wall space in your office and use group Trello boards for project management & development. The math is simple: Subtract stickie notes, flash cards & pinboards and ADD TRELLO! *Remember to recycle all paper products instead of disposing in the trash.